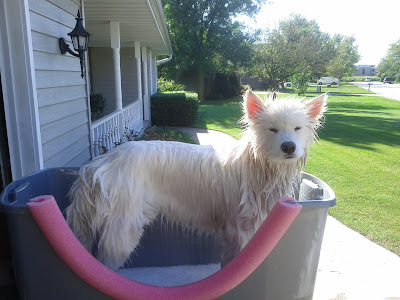 Photo 51 Samoyeds: The Best Bathing Set Up Ever. Seriously. The Best Bathing Set Up Ever. Seriously. One of our biggest challenges has been bathing. I'm tall to begin with and bending over just really ruffles my tail feathers. Even over the lip of a raised tub, it doesn't make me happy. Add the fact that the darn shower hose is NEVER long enough to reach the dog well and I don't like making a giant mess in my bathroom, the whole thing was just a nightmare. We tried going to those self grooming places, but the people are NEVER friendly when you have a hairy dog, the dryers are never powerful enough, we get stuffed in prison cell sized rooms, and almost never feel like we can take the time we need to do a good job. Not to mention it was expensive. So, I started just bathing outside on the deck with the hose. If I put a mat on my grooming table covered with a plastic sheet at least I didn't have to bend over, but the dogs were NOT thrilled about this given the exceptionally freezing cold water they were getting bathed with. My feet, and everything else, got completely soaked (and not wearing shoes while standing and grooming was rough on my feet). We NEEDED to find a better way. There is a product marketed to professional groomers called a Hydrosurge. 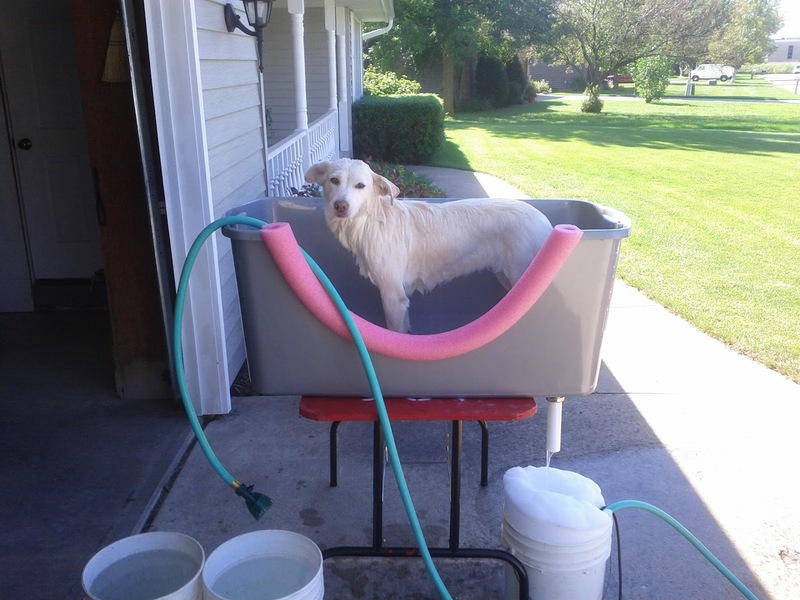 It's essentially a system of bathing that uses a pump to recirculate a soap and water solution while bathing a dog. The benefits are 3-fold: You use less water, you use less shampoo, and you can get the dog cleaner with less effort. The soap and water solution makes it so you don't get a bunch of soap in one spot and totally miss another and it's also significantly easier to rinse out when you don't have gobs of soap in the coat. Less scrubbing is required because the water and soap solution is sprayed into the coat and largely doing the scrubbing work for you. 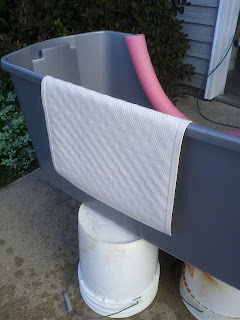 One major advantage for us with a recirculating system is that we can use pails of nice warm water to wash and rinse rather than trying to use an outdoor faucet while still keeping all the mess of bathing outside. Ok, so let's say I go buy this $500 pump system... I still don't have a good place to use it. And... FIVE HUNDRED DOLLARS? Good grief! This was one of those times when "do it yourself" was definitely my best option. 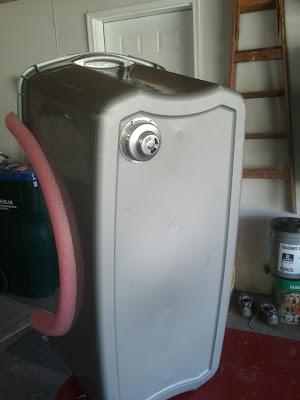 First, I bought a 50 gallon Sterilite bin at Walmart for $18. I found other bins at other places, but I feel the shape of this one is the best for our purpose so I decided to get it. I knew one of my absolute requirements was that the side be cut out of the tub so I don't have to reach over the side to get to the dog. I also knew that if I didn't get the cut out at least pretty even it would drive me nuts so I used a string tied to a sharpie to make a perfect half circle. 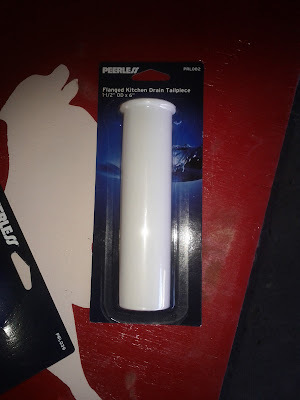 I scored along the sharpie line with a utility knife so that when I used a sharp kitchen knife to cut through the plastic it would slide smoothly along the scored line. It worked beautifully. 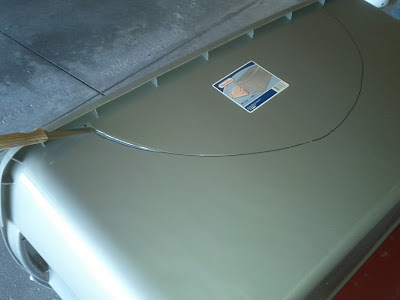 Only once did I manage to crack the plastic just a little along the cutting line, but it was a small crack and pretty insignificant. I knew I would be "finishing" the edge of the cut so I wasn't terribly worried. I suppose you could leave this cut edge exposed, but I'm sure it would scratch your arms. I took a pool noodle and measured it to the cut edge then sliced down one side so it would slide over the cut edge of the tote. I thought I might have to find a way to attach or glue the noodle down, but it stays there perfectly all on its own. Now for the drain. I purchased this kitchen sink drain assembly at Walmart for $10. 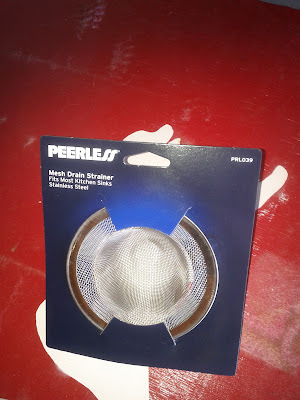 I later saw it at Fleet Farm for $9. (darn!) 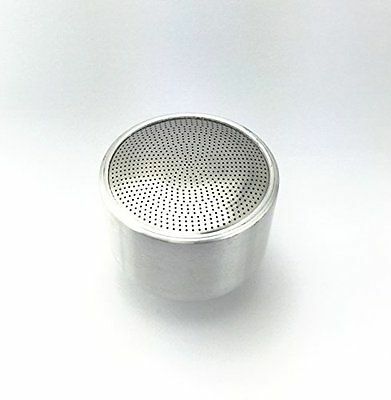 It comes with everything you need to attach the drain. 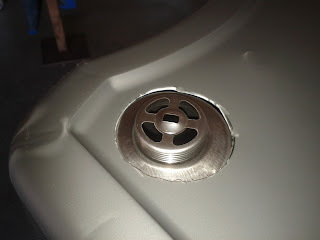 I unscrewed the washer piece that holds the drain in place and set it on the bottom of the tote where I wanted to put the drain. 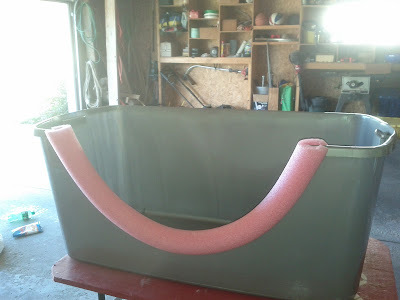 Since I'm right handed and would want the hose on the right side I decided the right side of the tub would be best for the drain. I put the drain in the right front corner so it would be easier to place the catch pail under it. I traced the washer with a sharpie and cut the hole for the drain using the same method as I did for cutting out the side. 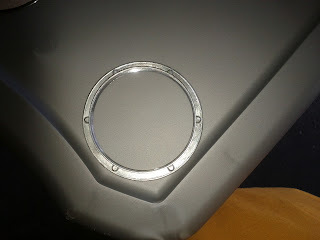 I figured it would be better for the hole to be tight than too loose so I cut, tested, trimmed a little more, tested, etc until it fit just perfect. 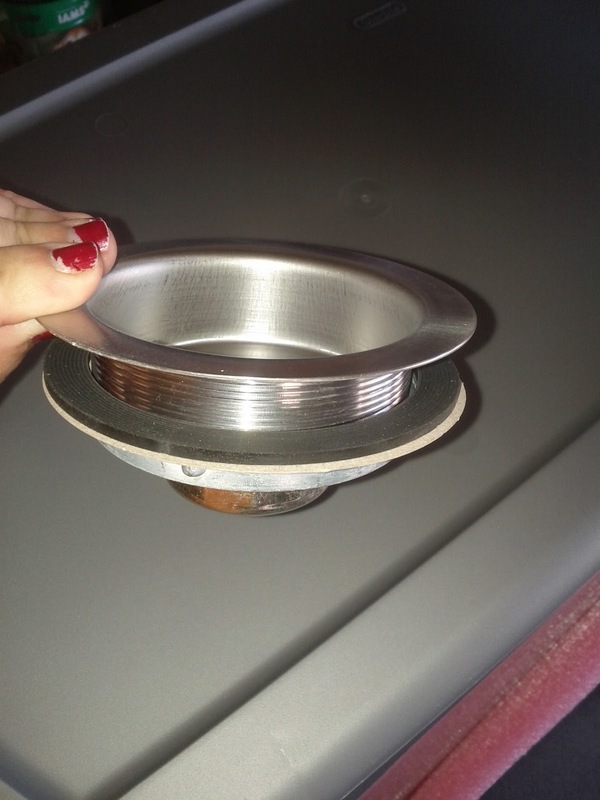 The rubber O-ring that comes with the drain should go on the top side of the tub. Here's a pic of the drain in place. Get the washer good and tight by wiggling the tote around and tightening. Technically I suppose you could just leave the drain like this, but I wanted to have a little "aim" with the drain so I bought a drain tailpipe for $3 to attach. 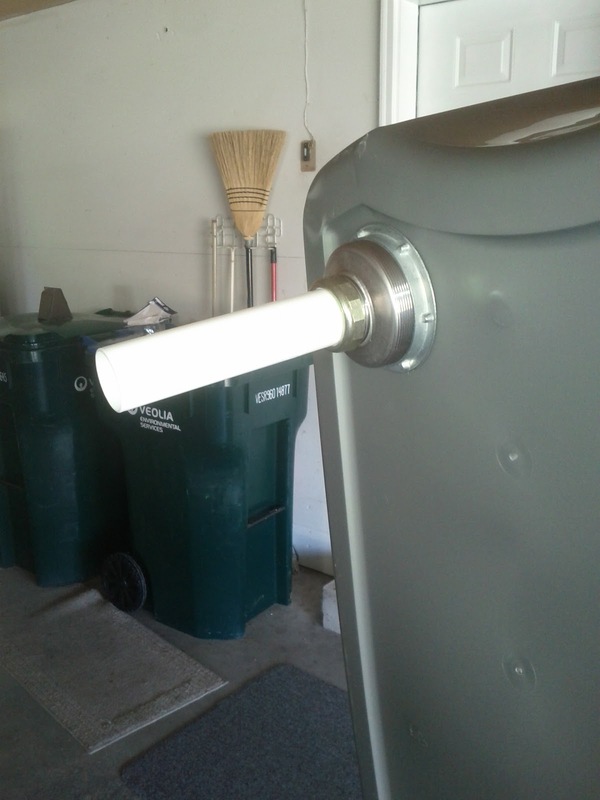 The drain already comes with the washer necessary to attach this. For the pump, all you need is a submersible utility pump. You don't need a float switch on it. I lucked out and get to borrow my Dads pump that he uses to water his flowers (from rain barrels) for free. My Grandpa picked it up for him at a rummage sale and paid less than $20 for it. You can buy a new pump for about $50 on Amazon or at a local hardware store. 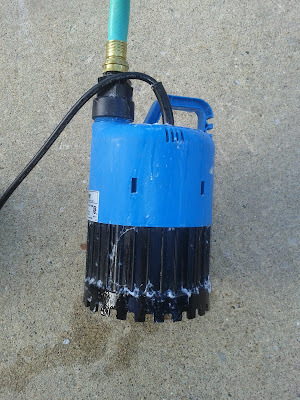 This pump is 1/4 HP and I find it's definitely powerful enough to get the job done. Be extra careful about plugging and un-plugging your pump! The whole thing gets a lot more expensive when you factor in a hospital visit... or worse. This is one thing about the original Hydro Surge that is really nice - it comes with a foot switch for turning the pump on and off. You CAN buy foot switches at a hardware store and I'm seriously considering getting one to hook up to my pump when I buy my own. You can use any length garden hose you want, but I find it's MUCH easier if you have just a cheap 10ish foot hose rather than fighting with an extra 20-30 feet. I bought my 10' hose a while back for another purpose and I think I paid only around $12 for it. You can use lots of different hose ends, but I found I actually like just using a garden wand end the best. Not one with the jet spray options or anything, just a wand end with a screen on it. The end of a garden watering wand DOES work pretty well and doesn't require an adapter or special pipe threading skills, so that's nice. I purchased a cheap bath mat with the little suction cups on the bottom for $4. I'd say it's definitely worth it to not have the dog slip in the tub. 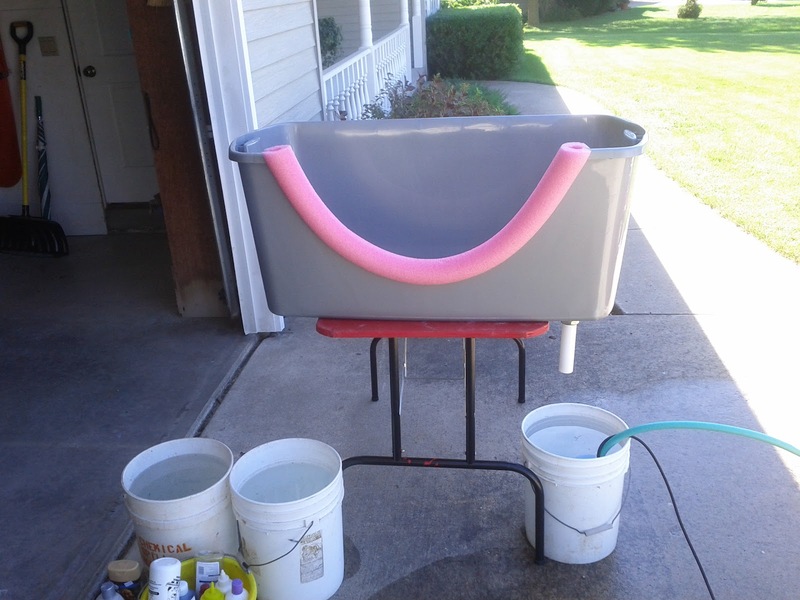 For Lilly I had (3) 5 gallon pails of warm water ready. 1 for soap, and 2 for rinsing. I didn't really need the whole 2nd rinse pail for her, but I made it up just in case. For Mendel I used 4 pails. 2 for soap and 2 for rinsing. I would definitely use both rinse pails for him. Notice from the pictures my tub is set sideways across the end of my grooming table. I found this worked beautifully for me. 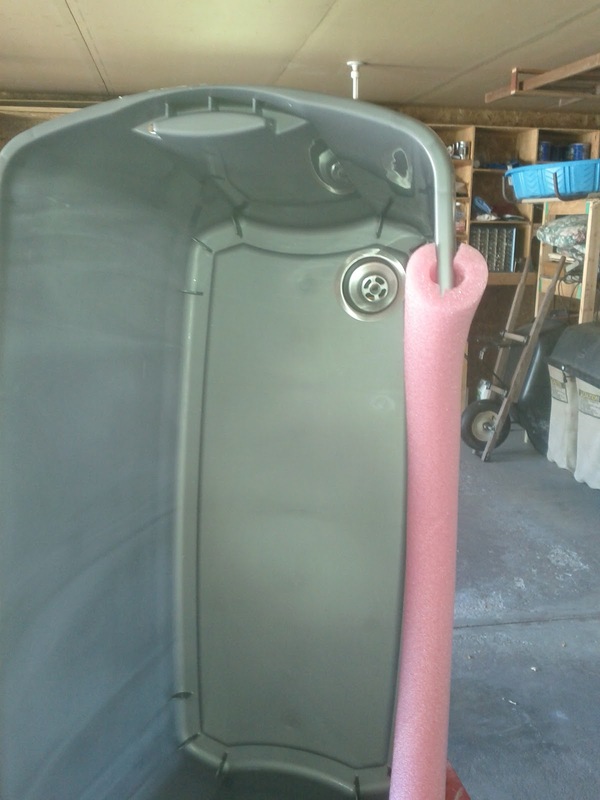 You can experiment with different ways of setting up your tub. You can even build a frame for it if you like, but I definitely recommend trying the grooming table idea. It's very convenient and doesn't cost any extra money or space. Also, at this height, I never had to bend over other than to pick my dog up which made me VERY happy. Fill the appropriate number of 5 gallon pails you need with water slightly warmer than you would normally bathe your dog with. 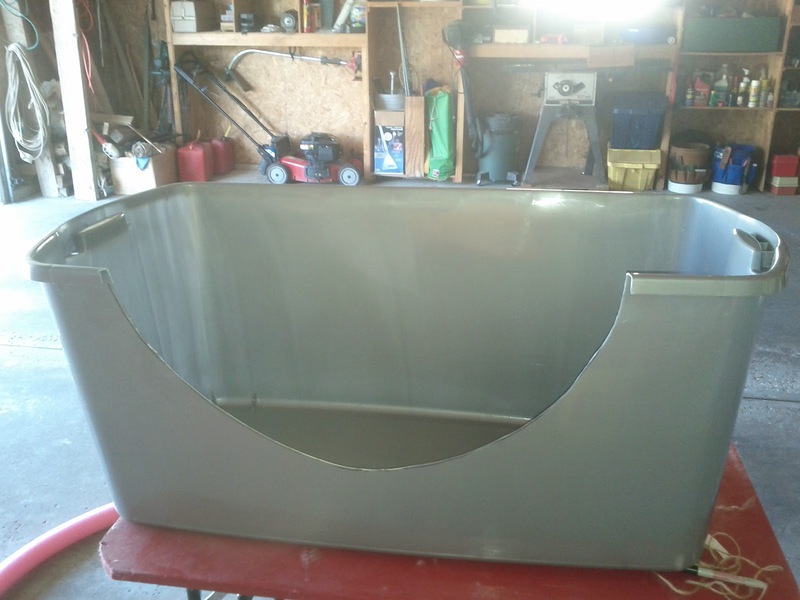 This is because the water will cool off fairly quickly once you get it running through the system and most of the buckets will be sitting for a bit before you get to them, anyway. Once you've thoroughly soaped and scrubbed with this pail of water (don't be afraid to use your hands to scrub in the dirty spots, it's not 100% scrub-free), you're likely to be ready for a new nice warm pail of water. Unplug the pump and remove it from the pail. Let the tub drain completely and set the pail of dirty water aside (or just dump it if you're outside), remove the strainer and clean any collected hair from it then replace it. Set your next pail of water under the drain, place the pump in the pail and plug it back in. Either add soap to this pail or just use this water to rinse depending upon how dirty/big/etc the dog is. Repeat the process, if necessary, until your dog is rinsed to your satisfaction. I know what you're thinking - "Are you SURE I can actually get my dog completely rinsed even though he had that soapy water on him and I'm not using completely fresh water from the faucet to rinse?" Yes, I'm sure. Especially if you use two rinse pails. I was concerned about the very same thing myself, until I tried it. You will see that the coat feels very clean and well rinsed and you won't see suds in the water. This is largely because you didn't load up the coat with soap in the first place, you just used the soap you had far more effectively. If you wish to apply conditioner to your dog, add a SMALL amount of conditioner to your rinse pail and apply it to your dog. You may wish to wrap things up here or use another clean pail of water to rinse the conditioner. I find as long as you don't put too much conditioner in the water you really don't need to rinse any further. This is the most wonderful way to apply conditioner because you don't end up with a bunch of it in one spot and you can apply a very small amount very evenly throughout the coat. When you're all done bathing, remove the dog then remove the tub from the table. I find it works great to just set the tub on your empty 5 gallon pails so the drain pipe can hang freely. Now your table is all ready for drying time. :) Check out my suggestions for a dryer here. I actually used a "real" Hydrosurge system in a huge fancy tub (I'm certain their system cost over $1,000) at a grooming facility recently and I can honestly say I found this home made system to be much easier to use. Also, because it's a more manageable size I was able to use less shampoo in my system. Not to mention, I built my whole system for what they would charge me to bathe my dog in theirs only a few times. Once you've bathed this way, I'm certain you'll never want to go back. I know I sure don't, and I'm positive my dogs appreciate a nice warm bath rather than freezing to death from hose water. I appreciate a bathroom that's not sprayed with soap, water, and dog hair.